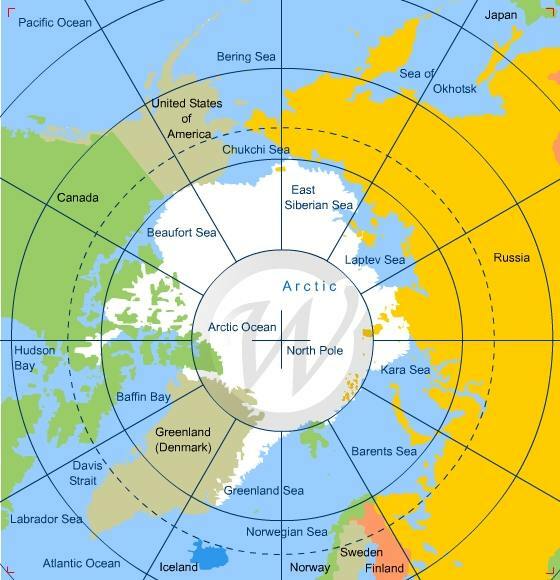 In June 2018, Arctic ice extent held up against previous years despite the Pacific basins of Bering and Okhotsk being ice-free. The Arctic core is showing little change, perhaps due to increased thickness (volume) as reported by DMI. The image above shows ice extents on day 195 (July 14) for years 2007, 2012, 2017 and 2018. Note this year ice is strong on both Russian and N. American sides. Beaufort Sea and Canadian Archipelago are solid. E. Siberian and Chukchi Seas are also solid, despite early melting in Bering Sea. Hudson and Baffin bays still have considerable ice compared to other years. The graph below shows how the Arctic extent has faired in July compared to the 11 year average and to some years of interest. Note that 2018 started July well above the 11 year average and other recent years. As of day 195 (yesterday) ice extent is still greater than average and the years 2007 and 2017. SII 2018 is tracking well below MASIE this month, a gap of 500k km2 at this point. The table below shows ice extents by regions comparing 2018 with 11-year average (2007 to 2017 inclusive) and 2017. 2018 is 280k km2 above average, mostly due to Hudson and Baffin bays having surplus ice. Laptev, Greenland Sea and Central Arctic are down, more than offset by surpluses elsewhere. Since the two bays will melt out soon, the eventual annual minimum remains to be seen. No ammunition for obsessive climate doomsters here as sea ice refuses to conform to man-made dogmas. I listened to Christopher Essex on the Delingpole podcast. Agreed stew. We only care because they have claimed less Arctic ice proves global warming, and they mistakenly conflate sea ice melting with sea level rise. As you say, ice extent varies with water, wind and weather, little to do with CO2. From my sometimes observations of the Arctic ice and wind patterns, there seems to be a strong connection to the conditions in the Atlantic. When the UK gets high pressure (like our current hot summer) the ice doesn’t flow out the Fram Strait as much. Sometimes the winds blow into the Arctic in those conditions and the ice melts but in situ. That must chill the waters, ready for refreezing, whereas if the ice flows out, the cold water is lost to the Atlantic. A fair amount of the time when the UK gets high pressure, the winds out of the Arctic are blocked and an area of calm develops in the Fram Strait and this must aid the durability of the ice. A big storm in the arctic can do a lot of damage at the back end of the melt season but the Atlantic set up looks likely to continue for at least another week. In winter things change a bit and I’m not sure why. I expected that strong winds out of the Fram Strait autumn/winter would increase ice extent but at the cost of volume but it didn’t seem to be like that. Still conditions stagnated extent and volume. I wonder if the compression of ice as it funnels towards the Strait helps to thicken it prior to forming big enough sheets to almost wedge the routes to the south, including the Fram Strait and the Canadian Archipelago? I have discussed fairly often this summer about the increasing trend of summer ridging/blocking in and around Greenland over the past two decades or so. Given the robustness of this trend I anticipated for much of the summer that ridging that setup across Northern Europe to migrate across the North Atlantic towards Greenland as the summer progressed. However there is clearly no sign in the weather model forecasts of this scenario. It is possible that above normal sea ice in eastern Hudson Bay and fairly extensive below normal sea surface temperatures in and around Greenland are not favorable for ridging in the region. I have also discussed the importance of persistence during the summer months and certainly this summer the persistence of the ridging/blocking across Northern Europe has been impressive. Earlier it was centered over Scandinavia and then more recently it has been centered closer to the British Isles and the latest forecasts suggest that it will once again retreat back towards Scandinavia. There are no signs of the Northern European ridging/blocking breaking down in the weather model forecasts and even in the longer range CFS forecasts but the ridging/blocking is already unusually persistent and I would expect the blocking to break down sometime in August. Though I have to admit that all of my previous predictions of the demise of the blocking have been premature to say the least. Regardless it wil be tough to reverse current temperature anomalies through the end of the summer, especially across Northern Europe and the western half of North America (see Figure i).